Today Mark tells about a cultural and spiritual outsider who came to Jesus to heal her daughter. We see in this foreigner’s faith an example of someone who would not be stopped from getting Christ’s help. Jesus came as the Messiah or Savior of the Jews first. He was Israel’s promised Deliverer. But we see in gospel passages like this one that Jesus also opened up God’s salvation to the Gentiles (all the non-Jews, which means the rest of the world). Here he travels to the cities of Tyre and Sidon, part of a region that was called “Phoenicia” in ancient times; today much of it is in the modern country of Lebanon. He was trying to find some alone time, but He could not hide even in this remote place. This woman who come to Jesus is also called a Greek. Remember from world history that when Alexander the Great conquered the Middle East 300 years before Christ’s birth, he spread the Greek language and culture to all of its territories. So this woman is a cultural and spiritual outsider. Yet she shows strong personal faith in Jesus. Even when He tests her by saying that He came to save the Jews before reaching out to Gentiles like her, she persists and won’t be turned away. Jesus welcomes her genuine seeking of Him and heals her demon-possessed daughter. We serve a God of justice and equality. Jesus came to offer salvation for all who would be willing to trust in Him. Today most Christians are from Gentile, not Jewish heritage. But we can make a modern application from this passage if we think about all the different backgrounds of the members of Christ’s body. Some of you may have been raised in the church with strong Christian families, while others of you may be very new to the world of Christianity. Some of you have attended Christian school since kindergarten, while many of you are much newer to the experience. What matters to God, though, is not where you come from but where you are going. Jesus rewarded this Gentile’s faith because she pursued Him with honest persistence. That is the kind of faith that God still calls us to today. Keep seeking Christ and His will for your life today. Jesus reminds us in today’s passage sin begins in the heart. We all need God’s forgiveness and help to walk in inward obedience to His standards of holiness. Jesus has just answered the Pharisees’ criticism of His ministry by pointing out their own religious hypocrisy. Jesus’ disciples did not observe the hand washing traditions of the Pharisees because these rituals were not commanded by Scripture. The Pharisees, however, had been ignoring the clear biblical command to honor their parents and care for them in their old age. Now Christ goes further. He says in today’s verses that even the dietary laws of the Old Testament are not as important as the spiritual principles that they were supposed to teach. The concept of unclean vs. clean foods was given by God to show the people His holiness and their need for His mercy and grace. Even in the Old Testament, God’s concern was always for the hearts of His people. The outward ceremonies were supposed to guide the people to heartfelt repentance and faith. The Law of God, such as commands not to murder, lie, and commit adultery, was not a ladder by which people would earn God’s favor. Instead, the Law was a mirror that would show the people their own sinfulness and tremendous need for God’s forgiveness. What Jesus means in today’s passage is that even if people did perfectly obey all of the Law outwardly, their hearts would still be “defiled” or evil because of their sin nature. We all fall short of God’s glory and need His mercy and grace. Even on our best days as Christians, we still sin in our thoughts and desires. Our hearts are desperately wicked and corrupt. When we are saved, we receive new spiritual hearts from God. But we still have our old sinful nature, too. The Christian life is a daily battle to die to our own sinful desires and receive godly desires from fellowship with Christ. That’s why reading through books of the Bible, meditating on the meaning of the passages and verses, and responding to what God tells us with our prayers and lives is so important. When we neglect personal Bible study and prayer, we lose sight of God’s perfect standard and how short we fall from achieving it. 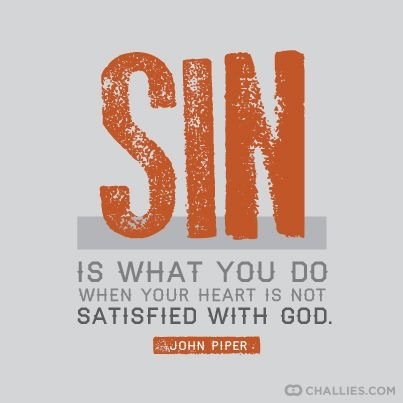 We start to think that our sin is not that bad, and that we don’t need God that much. We fall out of fellowship with the Lord without realizing it. Praying that as we approach this coming school year, we would all renew our commitment to stay in the Word and on our knees before the Lord. Let’s hide His Word in our hearts so that we do not sin against Him. Today God challenges us to consider our traditions in the light of His Word, the Bible. If something is in the Bible, Jesus taught that we should do it with a willing heart and encourage others to do the same. But we must not give heavenly authority to earthly teachings that God did not give us in the Bible. Jesus’ fame has now spread as far as the great city of Jerusalem, and He is drawing criticism from its religious leaders. The Pharisees in particular feel threatened by Jesus. After returning from exile in Babylon, many in the Jewish community had turned toward the Old Testament seeking salvation and hope. But in their efforts to obey the Law that God had given them in the Old Testament, the Pharisees had also created their own collection of unwritten traditions. These “traditions of the elders” were supposed to act like a “hedge” or barrier around the Law that would supposedly keep people from even coming close to breaking God’s commands. In today’s passage, for example, Mark mentions the traditions of ritual hand washing before meals that the Pharisees kept. The Old Testament had indeed given instructions for priests to do certain washing to avoid ceremonial defilement before doing sacrifices. But God had not given any commands for regular people to need to wash in any particular ways before all their everyday meals. The Pharisees though this would make them super holy and grew angry that Jesus and His disciples didn’t keep their tradition. Jesus points out the error in their thinking and actions. They were exalting their own non-biblical traditions but missing the love and justice of the real Law of God. Jesus highlights a sad example of this when he mentions their neglect of their own parents. The Pharisees were teaching that a man could avoid caring for his own elderly parents by declaring that all of his property was already dedicated to God. They did not have social security and retirement packages back then; aging parents were often very dependent on their adult children to help provide for their basic needs like food and clothing. Imagine allowing your own parents to starve while still claiming that you loved God very much! Jesus rightly called such men out as hypocrites (spiritual pretenders). Two important applications can definitely be drawn out of this passage. First, we must be careful not to let our own traditions and personal beliefs carry the same authority as God’s Word in our lives. The Bible is God’s revealed will for us, so we are right to encourage ourselves and other Christians to believe and obey the Bible. But we should not tell others that God wants them to do or not do things if God has not told us that in His Word. Secondly, we must recognize that simply obeying the letter of the Law is not good enough. God wants our hearts, not just our outward obedience. God has always wanted His people to embrace the spirit or intent of His commands so that we keep them joyfully. If we find ourselves hating God’s teachings and obeying them only because we feel like we have to, we need to humbly ask God to change our hardened hearts. We want to honor God with our words and deeds but also with our hearts. Today we again see people running to Jesus, this time to receive His healing power in their lives. They bring their loved ones to the Lord, hoping to get them close enough to be made well. While we do not always realize it, we still need Jesus’ help in our lives today just as much as the crowds of first century Galilee. As Jesus’ traveling ministry throughout Galilee continues, people are now literally running to see Him. The storm that Jesus walked through on the Sea has apparently blown the disciples off course, redirecting them from their Bethsaida destination on the northeast shore to Gennesaret on the northwest shore. Jesus is a great celebrity by now. Everywhere He goes, the people immediately recognize Him and spread the word that He has arrived. People are running not just to see Him themselves, but to fetch and return with sick family and friends that they might be healed, too. As Jesus walks through the towns and countryside, people with all kinds of physical illnesses and injuries are laid out before Him, desperately reaching out just to touch the hem (folded edges) of his robes. Like the woman with the flow of blood from chapter five, these people believe that contact with Jesus will heal them. And God honors their faith; whoever touches Jesus’ clothing is made well. The Lord Jesus does not turn away any of those who come to Him in honest, humble faith. What an incredible sight this must have been! When was the last time you ran to Jesus? We have so much today that it is often hard for us to realize our desperate need for God. Sometimes God has to take things away from us, even our health, to get us to see how badly we need Him. A great application of today’s passage would be to spend some time really praying for friends and families struggling with their health. The Galileans were desperate to get to Jesus for healing, not just for themselves, but for their loved ones. I tried this type of prayer last night, and I found that God also led me to pray for the spiritual health of my family, friends, coworkers, and students, too. 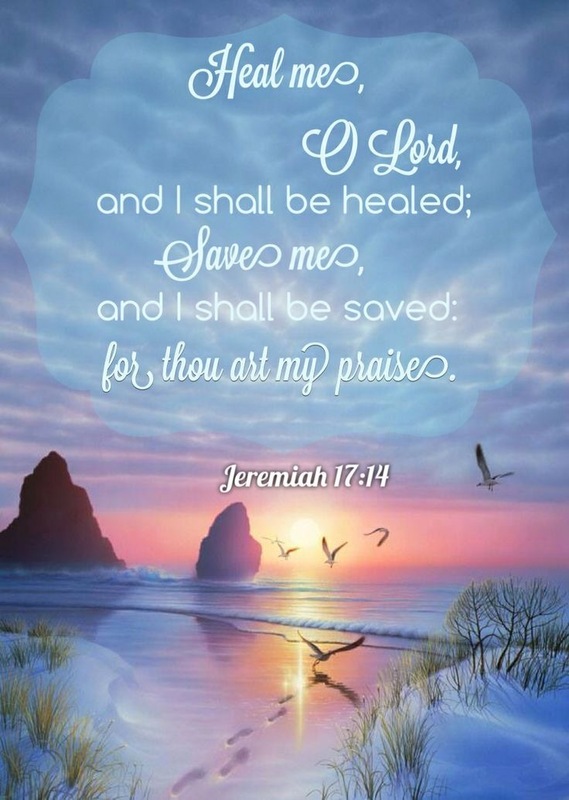 Even those who are currently blessed with good physical health still need God’s ongoing work of sanctification. We are all struggling with trials and challenges as we press on in our walk with Christ. We need Jesus’ help every day. We need prayer like we need the air we breathe. Try running to Jesus in your prayers for yourself and others. You will find a sweet fellowship with the Lord as you come boldly before His throne of grace. Jesus walks on the water in today’s passage, yet His 12 disciples respond with fear rather than faith. Even so, Jesus does not leave them, and neither does He leave us. Even when we struggle with the sin of unbelief, the God of grace stays with us and encourages us to renew our trust in Him. After the miracle of feeding the five thousand men (plus women and children), Jesus goes off to be alone with His Father in prayer. The crowds go home full and amazed. 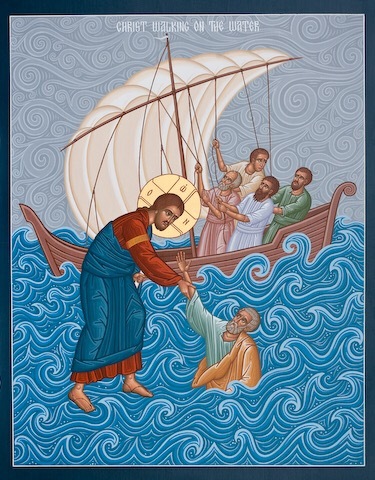 Jesus sends the disciples on ahead of Him by boat. But a strong wind carries their boat out into deep water and they struggle to escape. He sees the disciples in the dark of the night (the fourth watch was from 3 a.m. to 6 a.m.) from far away, walks across the violent waves to greet them, and then calms the wind to rescue them. The apostles freak out, thinking that they have seen a phantom or ghost, kind of like an evil spirit or omen. They can’t believe that it is their Master Jesus. Why? Mark tells us that they are “amazed beyond measure” and that they “had not understood about the loaves.” What is it that the disciples failed to grasp from the last miracle? It seems like they are still wrestling with the deity or “God-ness” of Jesus. The disciples have seen Him do so many miracles, but can their teacher really be God in the flesh? They just can’t get their minds around this concept. Perhaps they have also missed the idea that Jesus would provide for them, failing to see that if Jesus would not let them go hungry, than He also would not let them perish in the boat. Mark says that their lack of understanding is due to the hardness of their hearts. Unbelief is always an issue of the heart, not just the head. Faith is not alone intellectual conviction, but a matter of our wills. The disciples still aren’t ready to believe with their souls in all that Jesus is. Like the disciples in the boat, we still struggle to believe that our God is both all-powerful and all-good. We are tempted daily to doubt that God can and will do great works in our lives. We often show more fear than faith when faced with trials. 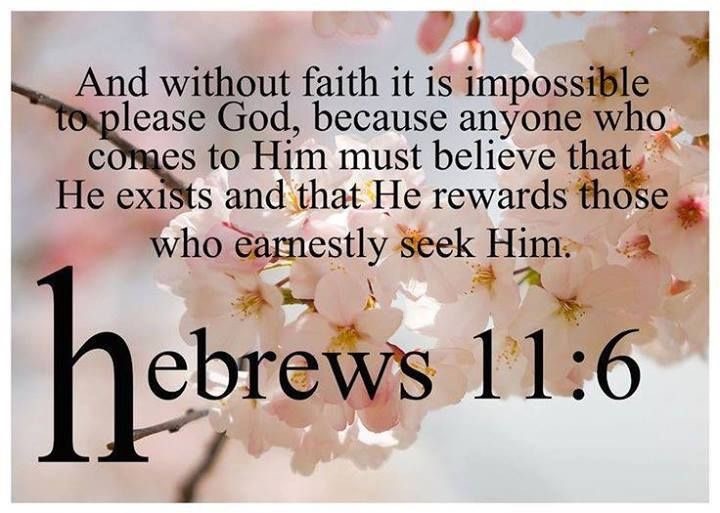 But thankfully, even when we are faithless, God remains faithful. He does not leave us to perish. Jesus is the Son of God. He can and will rescue us when we call out to Him. He will respond to even the smallest faith that we bring to Him. Whatever difficulties and trials you are facing right now, the Lord asks you to also be of good cheer and fear not. Through His Holy Spirit in us, the Lord is always with us. Praying that our trust in His power and goodness would be great today.